There is something very unique about a house constructed with no nails. 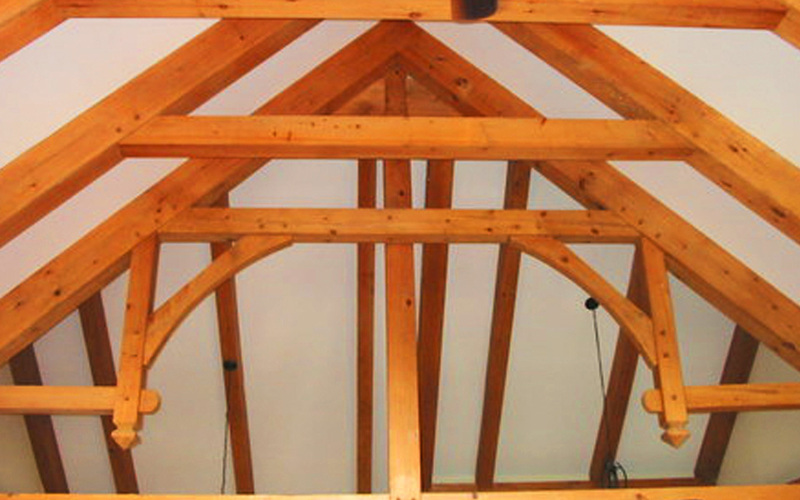 Timber framing is one of the oldest building methods known to mankind; homes with timber framed roofs date back to about 500 B.C. The “mortise and tenon” joint, still used today, was developed in ancient Egyptian and Roman civilizations. These building methods were built to last the centuries: You can still visit 12th and 13th century structures, such as the Westminster Abbey in England, that were built using timber framing methods. 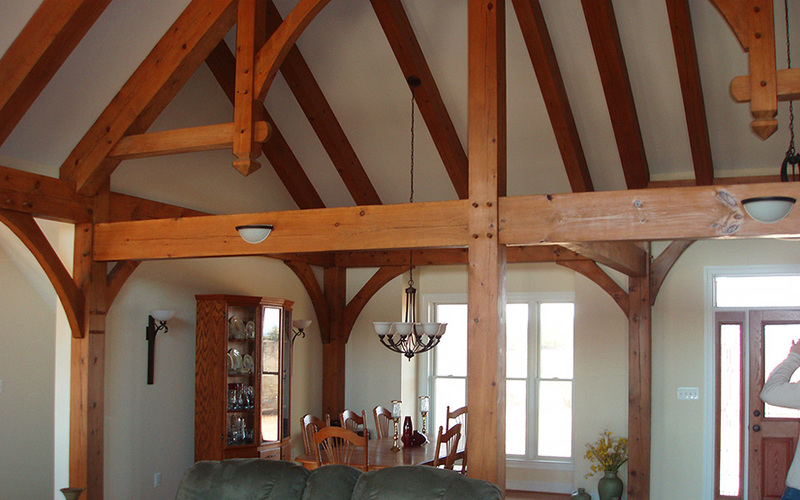 A timber frame home today is still a thing of awe-inspiring and durable beauty: The versatility of this building method allows for soaring interior designs, eco-friendly options, and a distinctive handcrafted natural feel. 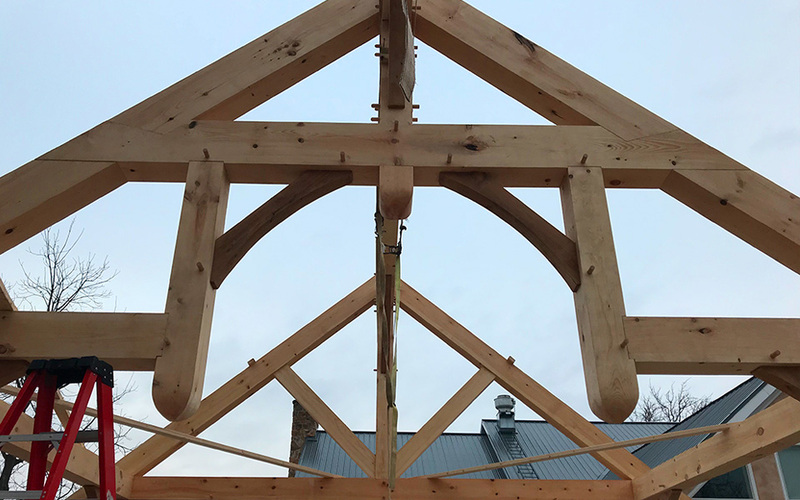 Crockett Traditional Timber Frame Homes, built with Eastern white pine and Western Douglas fir, use old fashioned “braced frames” that incorporate the ancient and sturdy mortise and tenon joinery held together with wooden pegs. If you opt for more intricate designs (that must fit stringent local code requirements) frames may require engineered connectors in some joints. These connectors are hidden in the timber and not attached to the timber surface. 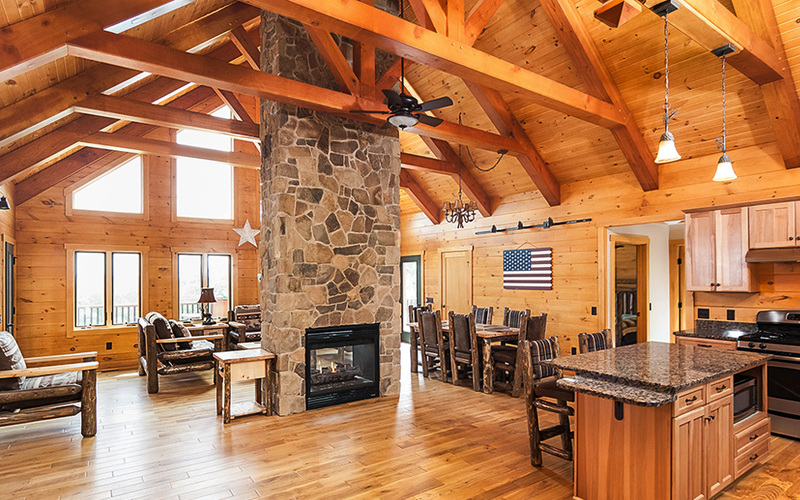 Crockett Timber Frame Homes® combine this ancient building style with modern American technology, and an ecological sensibility using the latest structural insulated panels (SIPs) to save energy costs. 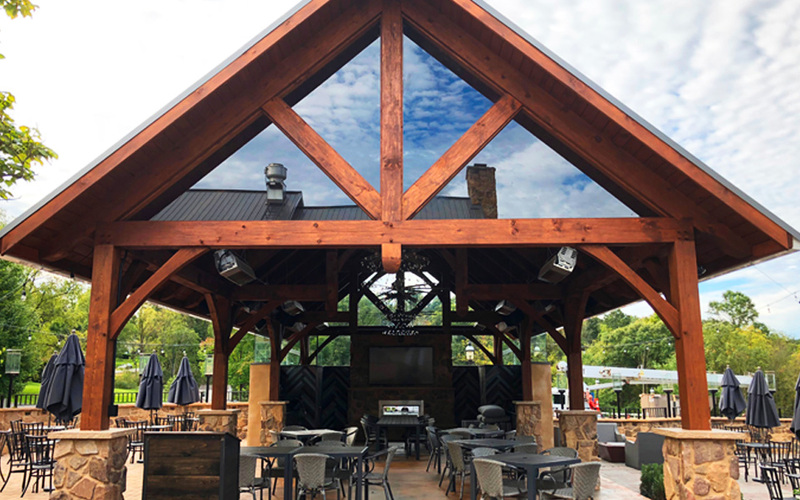 Crockett Hybrid Timber Frames in Eastern White Pine uses Traditional Timber Frame, usually in the public area and a Post & Beam/SIP system or Ultra R-SIP system in the non-public areas. Our traditional timber frames are wrapped in an envelope with SIP wall panels R-24.3 and SIP roof panels R-38. 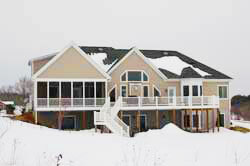 The other areas have SIP wall panels and either SIP roof panels or a conventional roof system. Our “green” SIP wall and roof panels have been extensively tested by nationally recognized laboratories and have been proven to meet or exceed all structural and fire code regulations. Not only will R-Control SIPs create significant energy savings, they are also heavyweights against the destructive agents of mold, mildew, and termites. The EPS foam is treated with “Perform Guard” termite protection. 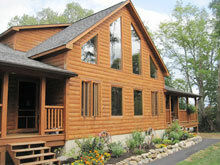 The entire SIP is treated with FrameGuard which prevents mold, mildew, and termite damage to its wood components. The solid construction of SIP’s block wind and moisture, providing optimum comfort for temperature, noise and dust control. Crockett offers creative design and engineering services for complete shell material packages at very competitive prices. We will work closely with you – listening to your concerns and answering any questions – every step of the way. 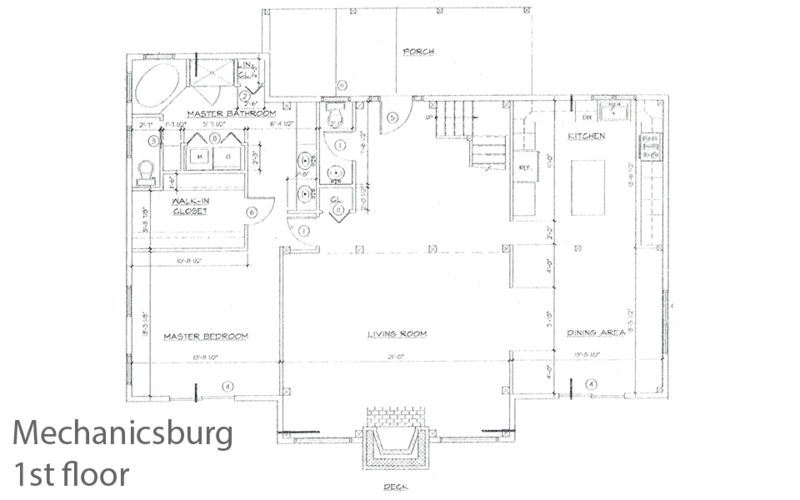 Our 3-Step Design Process – including creative design and structural engineering services — strives to achieve the timber frame home you’ve always dreamed of, within budget. 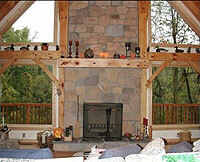 Call or contact us today to find out how to start planning the timber frame home of your dreams! Independent Crockett Builder Dealers’ offer local general contracting services and nationwide log, timber, and panel installation sub-contracting services by separate contract. 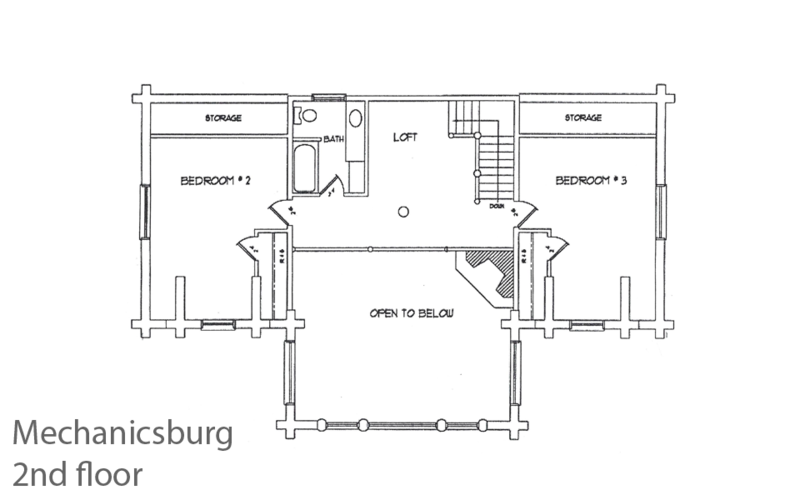 Or, you can opt to build it yourself with the benefits and protections of years of Crocket’s building and general contracting knowledge.